This is a perfect YA book. Doesn’t go so far in-depth that you get the yawn effect, and it’s an easy read. When the review request went out, along with two chapters, I was like…hmm this could be something up my alley. Then I read the two chapters and I was like YES!!! Gimme, gimme, gimme. We’re introduced to Cecily- a 17yr old girl, going through all the fun stuff high schoolers go through. Living with her brother Daniel and dad- her life is pretty much, well normal. She has the “best friend” the “ex boyfriend” and then naturally enters the “please stay away from me, you can’t be healthy for me, hot new kid” Ok, so that was a bit typical, but fun nonetheless. Derek (the new kid) is well, a dragon. Ok, he’ll become a dragon when he’s presented. Right now he and all other dragons his age are considered draakon. Oh, dragon you say? Let me fill you in…. 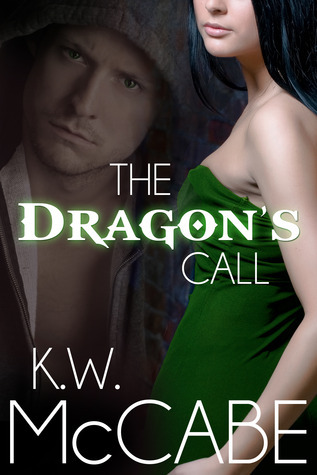 this book takes place during a time where dragons rule. It hints on the fairy tales we were all told as kids, but never quite gets fully into it. So, dragons rule, and humans tend the earth. There are curfews, and basically two options. Work has a tender (one who takes care of all the land and such) or go to college and work for the dragons. Oh joy. Where’s my application?! Dragons did this for our own good. We as humans act rashly and would have completely destroyed our world. The Dragon War which lasted 2000 yrs. help to put us in our place. Uh-huh. Derek is a “different” dragon. He really cares about humans and doesn’t understand why they are so afraid of dragons. He gets sick of the whole posh living and moves to Cecily’s town, starts school, and falls for her. Which by now you’ve guessed it is a no-no. Cecily in return tries to ignore her feelings for him, and is afraid he’s using his dragon magic to lure her in. …And I can’t really say too much more. It’s not a very long book. There are parts that would have been nice to have delved a little deeper in. I enjoyed the journal entries, and the way the dates are established. I also liked the twist of dragons in human form. So, I’m going to give this little gem 3.75 stars. A delightful read, at times you feel like you may have read this before with different names/magical characters, and it could use a bit more substance. I would like to read “Dragons Kin” which is book 2. Now, that sounds creepy. Many thanks for such a succinct but interesting review.